A Strat For Friday #4 'Ray'? 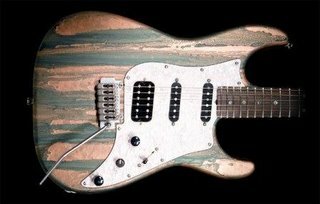 I love the Tyler Guitars finish jobs. This one is called "Copper Patina Schmere"-- but I'm calling it "Eddie Bauer Blur". You can call it "Ray" if you really wanna. 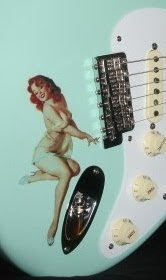 Click here for a previous post on guitars by James Tyler.